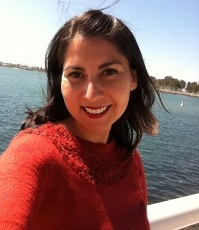 Angelica Gonzalez is the Conservation Program Manager of the Angeles Chapter of the Sierra Club and proud member of the Don’t Waste LA Coalition. In her work, Angélica organizes and implements conservation programs, campaigns, and initiatives. She is responsible for ensuring that Chapter approved conservation program objectives are implemented, participates in the development of program strategies, and work closely with volunteer leaders on conservation campaigns. She also speaks to community, political, and governmental bodies regarding environmental conservation.